What are Checksum tokens and why do I need them? We are happy to announce that the HelpTab extension is available to all our customers as part of the default configuration of their CiviCRM. Giving Back is a cornerstone of the Cividesk company culture. In addition to offering pro-bono services to qualifying organizations, we consistently fund loans for deserving and underserved small businesses and entrepreneurs across the globe via the Kiva initiative because we too believe that "Dreams are universal. Opportunity is not." How do I record a Pending (Pay Later) event registration from the back office? Splitting contributions ... 3 different ways! Cividesk often does custom development for its customers, and we recently came into multiple requests that involved splitting incoming contributions, but for very different purposes. Let me explain. Did you know that CiviCRM can handle really complex event pricing options? CiviCRM can handle all of your complex event options - the best way to start is to understand what information you will need to manage your event (participant counts, meal choices, etc. ), and then configure your information in such a way that will allow you to report easily and effectively as participants begin to register. CiviCamp Denver - Back in the Mile High City! 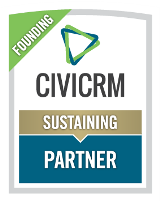 Cividesk is bringing CiviCamp back to Denver for a Mile-High CiviCamp on March 15th! 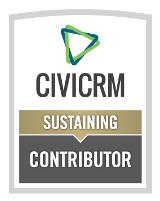 This casual, locally organized, one-day event is intended for evaluating, new and current users of CiviCRM. You may already know that CiviCRM lets you send notifications to an activity assignee based on activity type. Perhaps you noticed that, in the past, it was only an ON/OFF option, meaning you could either send assignee notifications for ALL activities or NONE.